The service is a way for businesses of all sizes to reduce the risks associated with accepting paper checks, according to First Data Corp., TeleCheck’s parent company. In general, the process involves analyzing check transactions via debt verification and gauging risks to determine the likelihood of whether a check is good. TeleCheck maintains a transaction database that includes information about check writers gathered from checks, bank account and debt records, and transactions with other businesses. 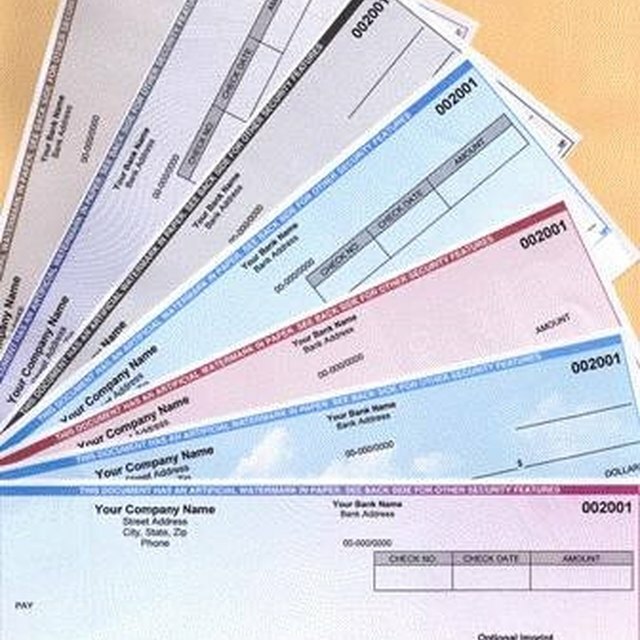 A paper check is run through an electronic swipe machine that links to the TeleCheck Electronic Check Acceptance service. Within a few seconds, TeleCheck can verify whether the account has any unpaid overdraft fees or other negative information, such as a significant number of overdrafts within a short period. If there are no negative matches, a receipt prints for the customer to sign and the check converts to an electronic payment. TeleCheck also uses proprietary risk models to determine whether a check meets an acceptable level of risk or exhibits characteristics of fraud. If the risk appears to be above the threshold, TeleCheck will flag the check and issue a “Code 3.” The code doesn't tell you anything about the specific account, only that the transaction contains a significant level of risk markers. How Long Does it Take to Run an Employment Background Check?